Ionutsa McClelland, is one of the best known face and voice combinations at Ross County Athletics Club. Her enthusiasm for athletics, her infectious zeal, fun-loving nature and unmistakeable voice (especially when throwing a javelin or putting the shot) are just some of the attributes that have earned her the accolade of “Club Personality Of The Year” for the past 2 years. But did you know that Ionutsa has another string to her sporting bow? 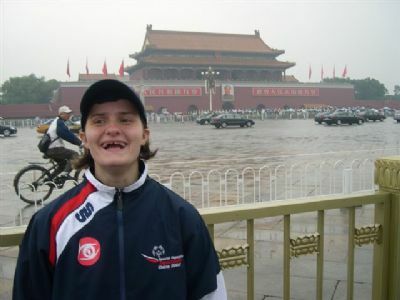 Some of us have been treated to a view of her GOLD medals and tales of her travels around the world, including China in 2007, where, competing in the Special Olympics World Games for Great Britain returned with 2 medals. She won gold in the 25m butterfly in a PB time of 23.22, her previous best being 24.14secs and helped the relay team to Silver medal position in the 4 x 50mtrs and was a close forth in the 50m freestyle. Ionutsa was supported through her training regime, by Dingwall Swimming Club and coaches and also by Highland Swim Team Coaches Stevie Meeks and Linda McCulloch, who held squad sessions for swimmers for disabilities each Saturday in the pool at Inverness Aquadome, pool time kindly arranged by Jeff Tavendale the Swimming Development Officer. 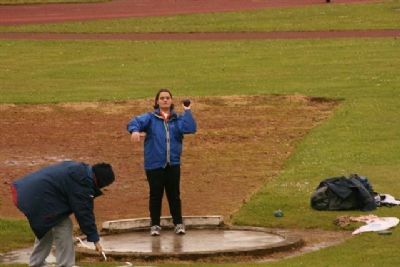 Apart from her quite amazing Olympic achievements, Ionutsa continues to travel far and wide to compete in swimming competitions, as well as finding time to take part in local events, such as the Inverness 2010 Highland Games, where she won the 200m race. 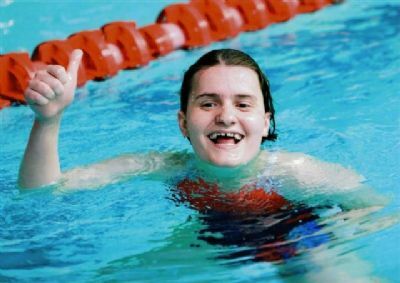 In May 2011 she was down in Glasgow at the Scottish Senior Championships for Swimmers with a Disability and came home with 2 golds, 1 for the individual medley and 1 for freestyle and 2 bronze for backstroke and butterfly. 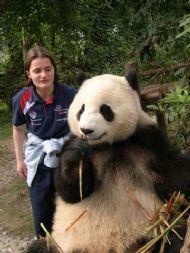 She has recently (11 June 2011) returned from competing in the Red Star Athletics Competition down Glasgow way. 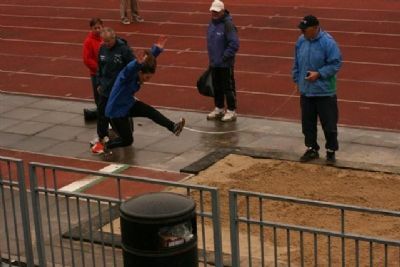 Ionutsa had a great time, coming home with gold medals for the 60m and the shot putt and a silver in the 100m. Ionutsa is proud to tell people that she was adopted by her mum, Patricia, from Romania! When mum asked her “If Romania were playing Scotland who would she support?” Ionutsa replied “That's not fair I can't choose!” In her spare time she likes hillwalking, badminton, youth club and helping young children. Ionutsa likes going to new places on holiday and wants to go to Romania one day to help the children. Although she keeps quiet about it, when she was 21 she said she didn't want anything for her birthday, just money for poor children in Romania and Africa. As you can imagine, mum Patricia was really touched by that, especially when Ionutsa had a party and raised £500 to give to her causes. Her sporting heroes are: Colin Jackson, Steve Backley, Kelly Holmes and Jonathon Edwards! Thank you Ionutsa for your smile and enthusiasm on club nights.